Pipers and drummers know that their elite players compete for gold medals, and now huge audiences at the 2010 Winter Olympics in Vancouver also know the caliber of Canada’s musicians, as 2009 World Champions Simon Fraser University and their cross-town rivals, Dowco-Triumph Street show their stuff as part of the games. 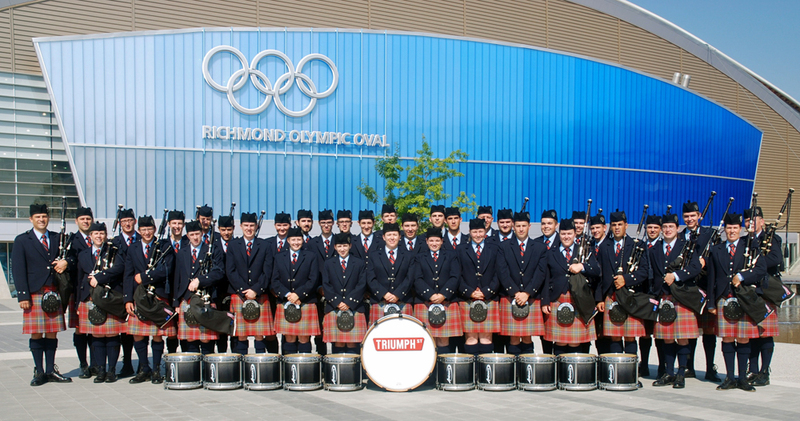 The Grade 1 Dowco Triumph Street Pipe Band, of Vancouver was selected by the Vancouver Olympic Committee to be the official pipe band for the curling events at the Vancouver 2010 Olympic and Paralympic Winter games. 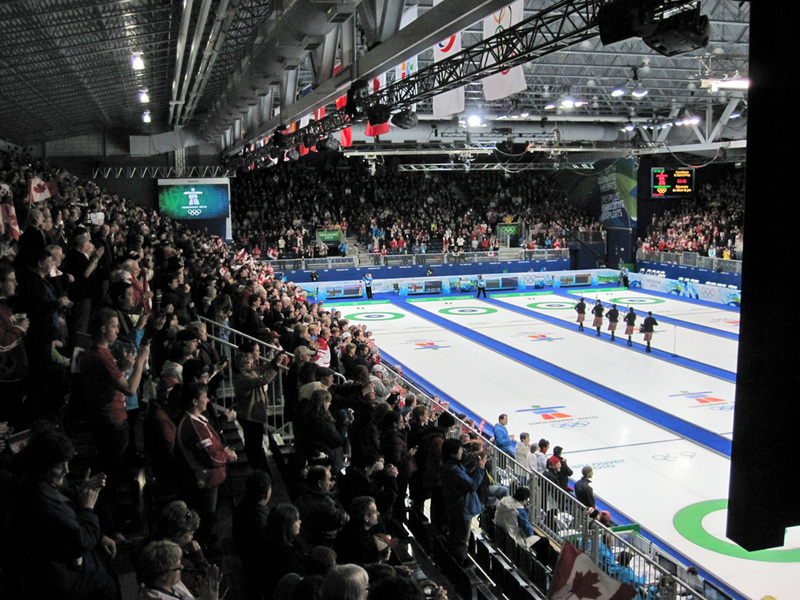 The band secured the bid after it participated in the 2009 World Junior Curling Championships in March, which was the first event ever to be held at the new Olympic curling venue in Richmond, British Columbia. The band will play a total of 57 times at the Olympics, with five players marching each team onto the ice inside the Vancouver Olympic Center prior to each match. Their performances included the Gold Medal game and medal ceremony immediately following for both women and men on February 26th and 27th. Simon Fraser University was the headline act at the Richmond Oval, one of the official entertainment venues on the Olympic grounds. The "O-Zone" main stage presents numerous international and pop music acts throughout the games. The performance was part of a ceremony celebrating successful Dutch athletes at the Holland Heineken House.